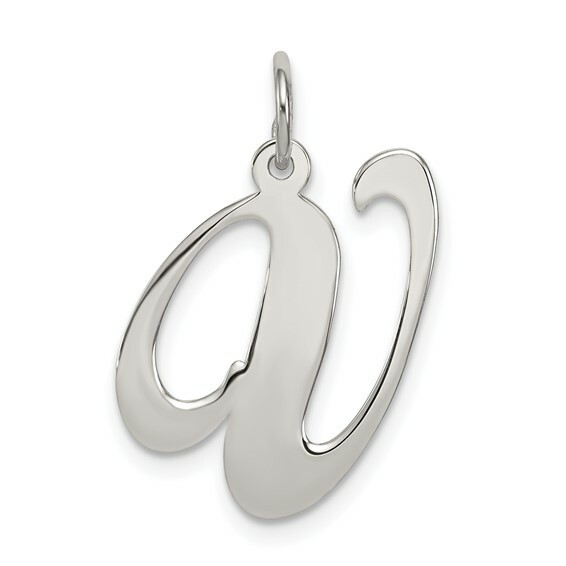 Sterling Silver Small Fancy Script Initial V Charm. Weight:0.4 grams. Measures 3/8 inch tall.